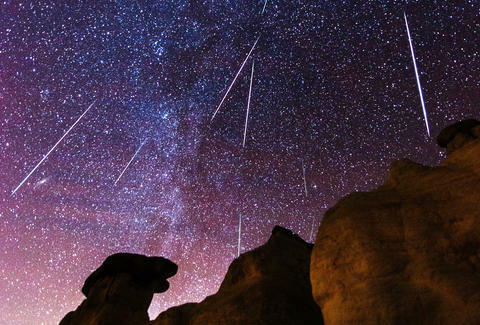 There are a handful of meteor showers every year, and there's something special to note about most of them. It can be hard to know which ones you absolutely have to see. There are outbursts and special circumstances, but if you're going to remember one meteor shower to see every year, make it the Geminid meteor shower. "The Geminids! 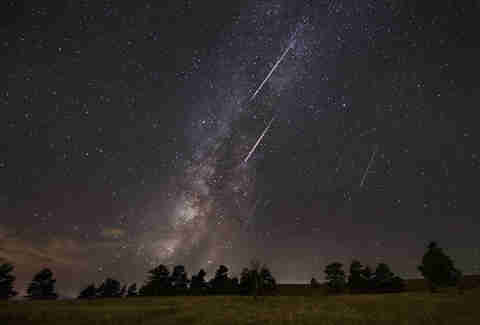 The best meteor shower of this year," Bill Cooke, who leads NASA’s Meteoroid Environment Office, tells Thrillist. "The Geminids are a great meteor shower. They're one of the biggest meteor showers of the year in terms of rates." It can annually produce between 120 and 160 meteors per hour. Not only is the rate impressive, the shower is capable of producing fireballs, which are essentially exceptionally bright meteors. This year is no exception because unlike last year when the moon provided a little interference, there's going to be damn near perfect viewing conditions for the celestial show. The moon will be just 10% full, according to the American Meteor Society. One of the most interesting facets of the Geminids is it has steadily been growing stronger since it was first recorded on a Mississippi riverboat in 1833. "Over time, the Geminid meteor shower has increased in strength. Now, it's the strongest meteor shower of the year as far as rates are concerned," Cooke says. "This is because Jupiter's gravity has been tugging the Geminids' meteor stream closer to Earth. Eventually, it may reach 200 [meteors] per hour." While the shower is named because the meteors appear to emanate from the constellation Gemini, you don't need to pinpoint the constellation to find the meteors. In fact, looking directly at Gemini will only show you the handful of meteors that don't travel far. You should look slightly away from the constellation for the best viewing. As Cooke points out, the weather is a major drawback for the Geminids. It's one reason August's slightly less spectacular Perseids are more popular. So, if you decide snowy fields in the middle of the night aren't your cup of tea, you can catch a live stream of the event through organizations like Slooh.